You have tried and failed repeatedly at learning a language. You stop and start and stop and start. You wish learning a language was easy. I’m not going to lie to you and promise that there is an easier way, but I can tell you that there is a more efficient way. Check out this list of language learning hacks to simplify your process so that you don’t get de-motivated as easily. 10. Listen to the language even if you don’t understand it. Malcolm gladwell has popularized the idea that 10,000 hours of practice will turn you into a world class expert at pretty much anything. (http://en.wikipedia.org/wiki/Outliers_%28book%29) We’re going to put this theory to the test by listening to 10,000 hours of audio. By the end of it you will be fully fluent! ….. Actually I don’t know if you will, but listening to a language helps to improve your recognition and pronunciation capabilities. It exercises the part of your brain that interprets the language and it trains your brain to listen for the sounds and comprehend them faster. The best part of this is that its completely passive. In the words of the great Ron Popeil, set it and forget it. 9. Only learn what you actually care about. Studies have shown that relevant information gets retained 3x easier than non-relevant information. And by studies I mean my own personal experience. But seriously, how often have you tried to memorize something you don’t care about just to forget it? http://www.cs.utexas.edu/~ml/papers/chen.mlslp11.pdf Think about language acquisition as if you’re putting together a jigsaw puzzle. If you put the borders of a puzzle together, you’re not going to start trying to fit together pieces in the middle that are completely independent, you’re going to keep working on building from the borders. Language acquisition works in the same way. If you don’t see how what you’re learning can be applied / you have no plans to apply it, your brain will try very hard to filter out the information. Brains have a funny way of deferring to information that helps promote survival. This results in you forgetting a lot of stuff you don’t really care about because it doesn’t matter to you all that much. Many language learning blogs and books will give you strategies to try to trick your brain into caring about these things. I would say SCREW EM, come back to them when they’re easier to integrate because you’ve worked on building the rest of the language learning puzzle. I learned the word pathetic in Japanese the other day. I was sitting in class with my teacher and I kept forgetting it even after I read it 10 seconds earlier. I got frustrated so I wrote it down and came up with a visual device for remembering it. The Japanese word for pathetic is Na Sa Ke Nai – nasakenai in Romaji or westernized alphabet. So I thought of a drunk guy who was saying “naaaaaa sake naiii, I am pathetic because I have no sake” (nai is a negative in japanese). Think of the human brain as a big slide projector – these slides or “schemas” represent concepts that we can identify based on their visual makeup. The visual schema for a dog consists of a four legged furry creature that has a certain type of nose, etc. Our brain is designed to retain information by logging characteristics in this way, it’s basically like the tagging system on wordpress. If you can assign certain visual ‘tags’ to the word you’re trying to learn, it will be much easier to remember.http://www.mindtools.com/memory.html? 7. Spend as much time enjoying the language as you do trying to learn it. If you like music… good, listen to it in your target language. If you like movies, even better, watch them in your target language. If you like reality tv…. Okay I think you get the point. It’s easy to get demotivated with language learning because its hard to see immediate progress. But if you don’t slow down and remind yourself why you’re learning the language in the first place you might not make it. The point here isn’t to learn new vocabulary or grammar, its to align yourself aspirationally. The second benefit of soaking in some culture in this way is that you may experience a moment where you are able to tangibly see that you are growing in the language. This happens when you realize that you are understanding more of it than you did previously. When you have an A-Ha moment like this it’s hard not to get pulled right back into the supermotivated learning zone. 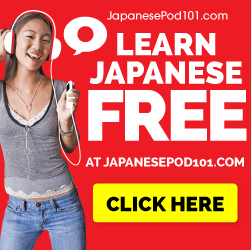 So if you like Anime and you’re learning Japanese… go nuts! If you’re learning Chinese and you want to listen to the chopstick brothers… be my guest. And so on. 6. Read stories that you are familiar with. Reading comprehension is normally a very tedious process. Some people learn how to become functionally fluent in speaking a language without ever experiencing the joys of reading it. Reading a story that you have heard repeatedly in your native language is a cheap way to get around this. 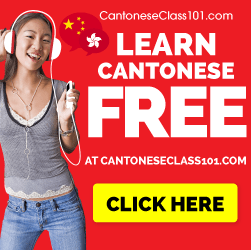 You will find yourself picking up vocabulary and grammar fast because your brain will be able to naturally fill in the gaps from having a background understanding of the story in your native language. This one seems pretty intuitive but it’s very easy to overlook. 5. Register for a proficiency test. This one isn’t so much of a hack as a self imposed threat. Accountability in the form of a proficiency test registration does wonderful things to your learning motivation levels, and if you’re going to learn the language anyway, it gives you a tangible goal to work towards. Most major cities have a proficiency test that you can register for depending on the language you are learning. The side benefit of this is that if you pass it you can add it to your resume and its a pretty big badge in terms of qualifications. 4. Have other people fix your mistakes. Sites like italki and lang-8 have learning notebooks that native speakers will correct for you. Anddddd they’re free. You can write / journal in your target language and have others correct your writing. This a great opportunity to stretch your writing muscles. If you aren’t attending university that uses your target language you may not have an opportunity to regularly write in your target language. Definitely take advantage of this. It will help your speech become more natural, and its easy to implement. Memrise has an excellent series of language hacking courses that jumpstart your language learning with all of the essentials you’ll need to navigate in a language. You can download the template here: http://www.memrise.com/blog/hacking-languages/ http://static.memrise.com/downloads/docs/hacking-course-template-v3.xls This template will help jumpstart your learning and get you prepared to have basic survival skills in the language in less than 48 hours. You are probably putting too much pressure on yourself and learning methodologists all agree that the best mental state to be in while learning is a relaxed state. If you are under an intense amount of stress because you feel that you are not making progress fast enough, it will be very hard for you to focus on the language that you are learning. Michael Jordan didn’t win championships because he focused on how much he needed to win, he won them by mindfully taking shots one opportunity at a time. If you look at language learning as a piece by piece acquisition rather than a quantification of what your level is, it will be much easier to learn. Anything that you do, learning included, cannot be done through the lense of the expectation of the outcome, instead look at it through the lense of constant experience gain. Habit Rpg is an ingenious website that gamifies everyday activities in order to form habits for the end user. This is wonderfully applied to language learning. https://habitrpg.com/static/front It is commonly stated that it takes 28 days of consistent application for a habit to be formed. If you can use habit rpg to achieve this result, you can trick yourself into learning without having the struggle of motivation, it will just become automatic. Disclaimer: I have made a lot of claims in this article and I have not done much to back them up scientifically. Language Learning has no silver bullets. But it does have repeatable action steps that we know will lead you towards “fluency” whatever that may mean.